Below is a list of some of the many things to do in the immediate area surrounding Mercey Hot Springs as well within a days’ (round-trip) driving distance. There are a few areas at Mercey Hot Springs to go for a walk or hike. For short, (2 – 3 Hours long), there are trails good for light to medium fitness levels that are appropriate for most anyone. Guests may freely roam the 144 acres of the resort’s property that consist of flat to rolling hills; just follow the trails made by previous guests or even the local critters. For those looking for longer hikes that are more challenging, there’s a Bureau of Land Management (BLM) access road just ½ mile from the resort’s entrance. Approximately four miles from the entry gate (off of Little Panoche Road) there’s a parking area, a couple of picnic benches and a park type out-house. We can even provide you with free trail maps (available in our registration office).that have been given to us by the BLM office for distribution. The trail maps are very well done and also provide information about all of the local animal life as well as historical information. Trails go for miles and there’s some excellent site-seeing at the top. On a clear day, which we have a LOT of, you can get a picturesque view of the western side of the Sierra’s that are often snowcapped in the winter. 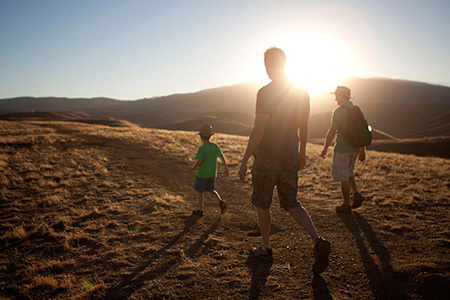 Some guests will drive up to the top, go for a good hike and then watch the stars in the evening sky, and towns of the San Joaquin valley light up – gorgeous! Yes, its’ true! We now have a 9-hole disc golf course. Use of the course is free for all guests including those just coming for a Day-Use however there is no separate fee for the course only. 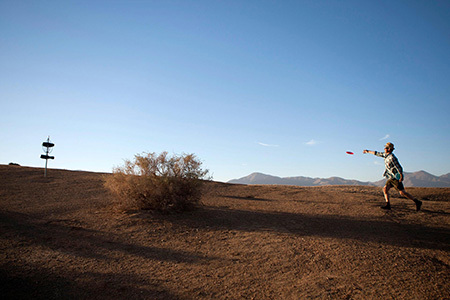 Click here to see/download our disc golf course map! 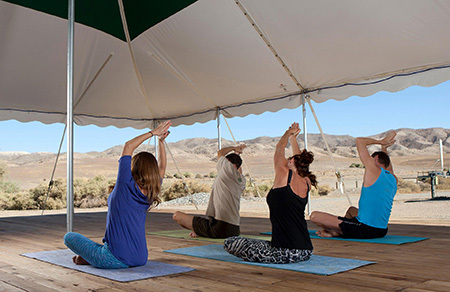 Yoga Classes are $10 per person, per class and are for Overnight Accommodation or Day-Use guests only! Click here for more info! 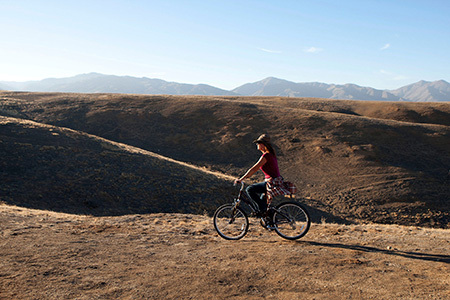 An entrance to the Panoche Hills area (BLM – Bureau of Land Management) is only ½ mile from Mercey Hot Springs’ entrance and provides access to some excellent trails. Bike (or drive) to the top of Panoche mountain and you can see all the way to the Sierra’s on a clear day. 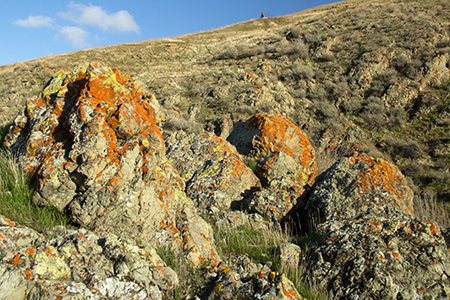 While taking a walk (up or down) the Little Panoche Creek that winds its way through the Mercey Hot Springs resort, you can’t help but find many colorful & interesting rocks such as jasper, quartz, petrified wood and Jade. You may even find an Indian artifact. If you do, we respectfully request that you turn your “find” into our office and we’ll reward you with a $50 Credit Certificate that can be used towards Day Use, Camping, or Cabins (Holidays excluded). You can be proud to know that you’ll be making an important contribution to our growing collection of local artifacts which will be put on display in our future museum. Due to the year-round water source, an incredibly diverse number of bird species migrate in-and-out of the area. Bird watchers travel thousands of miles (literally from around the world) to catch a rare glimpse of their favorite bird species. 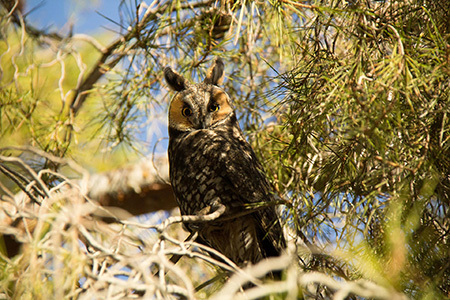 Among the birds one might see are Long-eared Owls, Great-horned Owls, Hawks, Eagles, Finches, Phoebe’s, Hummingbirds, King Birds, Orioles, Mountain Blue Birds, Ravens, Vultures and more. Click here for more info! With little to no light pollution, Mercey Hot Springs is a fantastic place to see a sky filled with stars at night. 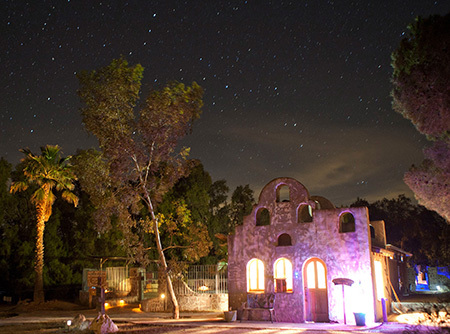 Be sure to come and visit during one of the many meteor showers! Click here for meteor shower dates! Fishing, boating, jet-skiing, wind surfing & water skiing. Go west (towards I-5) 13 miles on Little Panoche road, north 24 miles on I-5 and then west 5-miles on HWY 152. On January 10, 2013, Pinnacles National Monument officially became a National Park securing its vital role in the survival of California Condors, a very rare bird that had become extinct (in the wild) in 1987. Pinnacles National Park is a release site and management facility to some 25 Condors and they are making an impressive comeback. As a remnant of the pre-historic world these massive birds have the widest wingspan of any bird in North America with adults measuring widths as much as 9.8ft (3 meters). Prairie and Peregrine Falcons can also be spotted in the park. 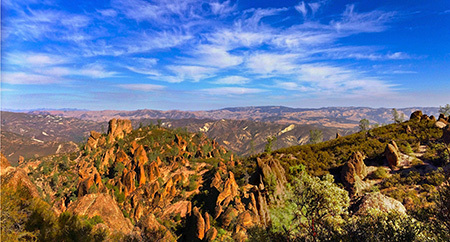 Additionally, Pinnacles has a wonderful Geological history, along with hiking & site seeing. Make a right (east) out of the Mercey Hot Springs entrance and go eight miles on Little Panoche Road. At the “T”, go right for approximately 35 miles to Paicines. Go left (on highway 25) about 25 miles and follow the signs. Just before entering the National park is a campground called The Pinnacles Campground that serves the area. Antique stores, restaurants and mission – Take the same route as to the Pinnacles but make a right in Paicines on highway 25 instead of a left. You will pass Bolado Park on the left where the San Benito county fair, rodeo and other special events are held. In Tres Pinos you’ll find a few antique stores and a couple of excellent restaurants. Continue on highway 25 for about 8 mile into Hollister which is one of the fastest growing cities in California due to its close proximity to the Silicon Valley. 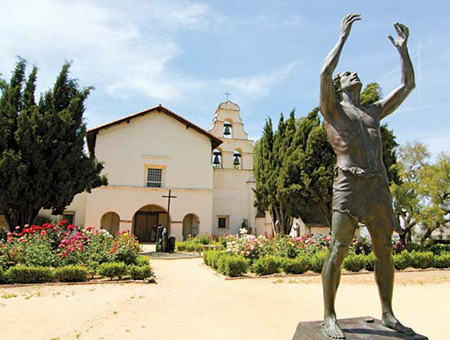 Take highway 156 into San Juan Bautista where you’ll find many, very fine restaurants, shops and the San Juan Bautista mission. 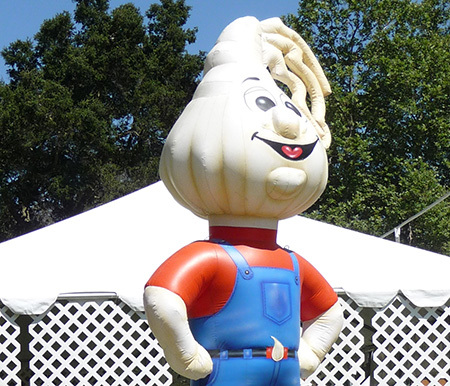 A city of over 52,000 people and host of the annual Garlic Festival in July, Gilroy is also well known for its “Outlet Shopping Center”. To get there taking the scenic route, follow the route to Hollister as described above and continue west on highway 25 to Gilroy. For the quickest route, follow the route to the San Luis reservoir as described above but continue west on highway 152 past the reservoir to Gilroy. 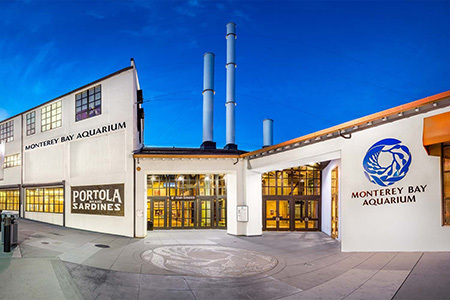 Well known for its beaches, restaurants, shops and aquarium, follow the same route above to San Juan Bautista but continue on highway 156 for another 2-miles to highway 101. Go South 8 miles to where highway 156 reconnects to highway 101 and continue west for 15 miles to highway 1. Head south for approximately 10 miles to highway 1 where both Monterey and Carmel are well marked.